A great proportion of those whose curiosity or whose abilities rise in any appreciable degree above the common level, have, during some part of their youth, gone through the process of sitting at the feet of Gamaliel. That is, they have been brought into contact with some one with whom they may be said to have fallen, morally and intellectually, in love; whose words came home to them with an edge and weight altogether peculiar, and whose speculations appeared to disclose the existence and the solution of problems dimly felt, but never fully understood before. Any one who is familiar with the passing literature of the day, must see how common such influences are. Half the little books which are read by no one but conscientious reviewers and the friends of the authors, are written under the influence of some three or four popular writers, whose special gift it is to be literary Gamaliels. Mr. Carlyle (though he is much more besides this) possesses this gift in an extraordinary degree; and, twenty years ago, Dr. Arnold and Dr. Newman had almost as much of it. What are the qualities which make a man a Gamaliel? What is the nature of the influence which such persons exercise? And what are the prospects which their career holds out? No man can exercise the sort of influence under consideration without an uncommon combination of qualities; and though such persons occasionally appear for a time, at least, to exert an extraordinary influence over the age in which they live, the qualities which enable them to do so are by no means of the highest kind. One qualification which is altogether indispensable in such a man is, that he should be keenly alive to the intellectual, and still more to the moral, difficulties which the circumstances of the time present to the minds of sensitive and not unthoughtful youths. It is also indispensable that he should be supplied with a fund of enthusiastic and positive language which either contains or suggests a solution of them. The fulfilment of each of these conditions is inexorably required of every one who wishes to be regarded as an evangelist—a bearer of good news—by the young and enthusiastic. He must be able to draw out into clear and bold relief the difficulties of which they were already obscurely conscious; to hold up to them something positive to believe; and to throw that something into such a shape as to promise a solution of the difficulties. The personal gifts which such a power implies, and which are almost universally found in those who possess it, are quick sympathy, a tender conscience, courage, generosity, ingenuity, and eloquence. A man who unites in himself these qualities, and exercises them in the direction in question, is almost sure to be, if he pleases, the founder of a school of able and enthusiastic youths, who will almost worship him, receive his opinions as a revelation, and display, probably, for the rest of their lives, traces of the influence which he has had over them. There are, however, other gifts, with the entire absence of which such powers are quite consistent. The founder of such a school may be one-sided, wrong-headed, narrow-minded, and obscure to any extent. If he succeeds in deceiving himself, and is personally honourable and truthful, he may be as uncandid as he pleases, and may be so incapable of seeing that there is more than one side to a question, that he may, from the best of motives, commit the most outrageous injustice. Depth and capacity of mind, and the habitual dryness and caution which expect, and at last attain, qualified and possibly intricate conclusions, are far from being attractive to the young. Wesley and Whitefield had crowds of enthusiastic disciples, but what youth would ever have thought of worshipping Butler? It is a doubtful question whether it is or is not an advantage to a man to have been brought, in early youth, under the influence of persons of this character. At first sight, nothing appears more desirable. The influence which such a man acquires, and the effect which he produces, are almost electrical. Youths who were either indifferent to their teachers or dissatisfied with their lessons, become only too zealous; problems which before had distressed and baffled them melt into thin air; and they are prepared to go out at once and evangelize the world— social, political, or religious, as the case may be— upon the principles which they suppose themselves to have mastered. If there is much that is silly, there is something that is amiable and even respectable in this kind of enthusiasm. Men whose passions are much stronger than their understandings may retain it for many years, but with the great mass it is but a transient phase. As the pupils grow older and study their master's creed more carefully, they soon find out that it is one-sided, incomplete, often inconsistent, and almost always at variance with facts. If they are cool enough to speculate with anything approaching to fairness upon their own mental history, they are nearly sure to find that what really attracted them in it was the crudeness and confidence with which it asserted that some set of newfashioned phrases contained a real solution of difficulties which have perplexed men for centuries, and which, if conquerable at all, will yield only to tedious sapping and mining, while they continue to set open assaults at defiance. Such a discovery as this, however gradually it may be made, is a great blow to a man's mental health. Few men have sufficient candour and courage to make a full confession in mature life of the mistakes of their youth, and to undertake the labour of forming for themselves a durable and substantial creed. Indeed, if they have the inclination, they have generally lost the opportunity. They have proceeded so far on the voyage that it is not worth while to put back for the sake of testing the compass. Hence they fall into a state of orthodox scepticism. They cling to the principles which delighted their youth, though they know that they are hollow; and they refuse to give way to the difficulties which they once thought they had solved, although they know the hollowness of the solution. 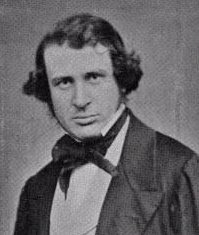 Natural energy, and the impatience of being left behind by the rest of the world, sometimes induce such men to continue to take a part—often ostentatiously prominent and noisy—in controversies connected with the subjects which gained their attention in youth; but the spirit in which they do so is a strange contrast to that which animated them in earlier life. The warmth and the eagerness are still there, but the fuel is all burnt away. They are as violent as ever, but their object is to attain some minute party object, to humiliate some personal antagonist, or to forward some crotchet which they value because it is remotely connected with the principles which they once believed. There are few more melancholy spectacles than that of a man who twenty years ago believed that he and his teachers possessed the secret by which the Church and the world were to be reconciled and reformed, and who is now consuming his energies in disingenuous efforts to injure some one who has travelled by a different road from himself, and who holds opinions which he still dislikes, though he no longer really believes it possible to refute or establish either them or any others. The teacher himself not unfrequently lives to afford a spectacle hardly less melancholy than the scholars. When the generation in which he lives has made that indefinable but inevitable step which distinguishes the present from the past, and has brought into prominence a slightly different set of questions, and a slightly different way of treating them from that to which he was accustomed, his disciples become less numerous, less enthusiastic, and very much less able, lle comes to the end of the tunes which he has to play, and generally goes on playing them over and over again with feebler and feebler variations, attracting a scantier audience by each successive performance. This is more especially the case with writers. Leaders of parties, social or religious, are subject'to different trials. Sometimes they outrun their disciples, and with a courage which is neither imitated nor admired, leap into some creed where few follow them, and where their own importance is entirely destroyed. This has been the fate of the ardent and generous men who made the journey from Oxford to Rome. Who listens to them now? Whom do they influence? The noisy bigots who lie, and curse, and bully in Irish newspapers have a much wider sphere of influence than the man of genius who five-and-twenty years ago was worshipped at Oxford with ardent enthusiasm by hundreds of enthusiastic youths who are now middle-aged clergymen, lawyers, and country gentlemen, as little influenced by the name of Dr. Newman as by that of Dr. Achilli. Sometimes, on the other hand, the disciples outrun the master, the ducklings take to the water, and their foster-parent stands behind on the bank, a not uninteresting but not a dignified spectacle. Such reflections as these point to the conclusion, in favour of which many independent arguments might be urged, that it is unwise for a man who cares for the investigation of truth to address himself to the young, or to address his own contemporaries in a manner which will attract young hearers to the controversy. To make any considerable change in the opinions or in the institutions of the world is one of the most serious enterprizes which a man can take in hand. The legitimate mode of carrying out such enterprizes is quiet, gradual investigation, and the calm expression of mature and qualified opinions. This is the task, not of a few years, but of a lifetime; and all the experience which can be derived from other pursuits may be brought to bear upon it. A man so employed need never fear that he will confuse the minds and vitiate the sentiments of his disciples; for he will have no disciples but those who are entitled to be considered as fellow-students; nor need he fear to figure before the world as a burnt out firework, for the light (if any) which he diffuses will be dry light, uncoloured by personal ingredients. After saying what he has to say, he may be silent without disappointing expectation, and may be alone without being deserted. There are few stronger proofs of the degree in which passion predominates over reason than the unpopularity of such advice as this. It would seem as if the instinct which leads speculative men to seek to propagate their opinions were as powerful in its way as that which leads most men to wish to leave behind them physical descendants; and each instinct, powerful as it is, is in some respects unaccountable. Many persons who know well the uncertainty of all opinions, the strange way in which even true opinions are entangled with every kind of error, and in which, as experience increases and facts accumulate, what was true for one age seems to become false for another, are nevertheless intensely anxious that as many people as possible should think as they think on the subjects in which they are interested. This is in its way as great a mystery as that men who know how questionable a benefit life is, and how it is hemmed in on every side with mysteries insoluble or appalling, should be pleased to think that after they have gone they know not whither, others should bear their name in the same confused scene, and follow their footsteps on the same unknown path. Experience appears to prove that, constituted as we are, all the troubles of this world and all the terrors of the next act in most cases less powerfully than the suggestions of good health and a sanguine temper.